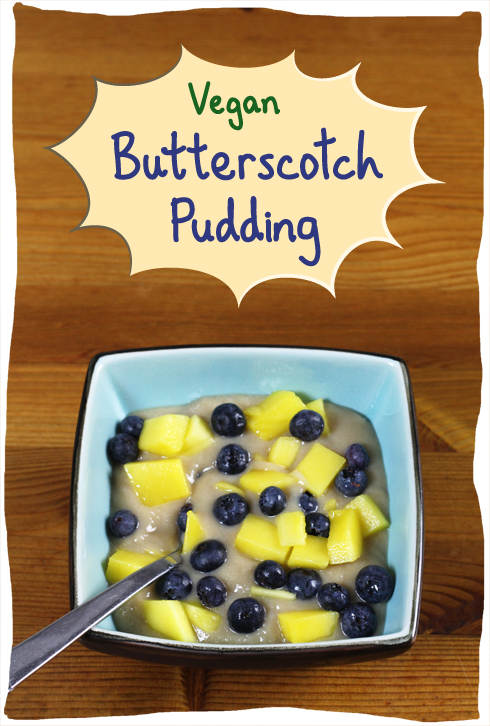 My side-project to fill my recipe file with satisfying vegan desserts continues today with a reasonable facsimile of butterscotch pudding, topped with fresh mango and blueberries. 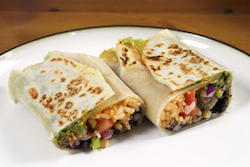 Anybody who's been vegan for a while knows that we're not the least bit deprived—we have access to a rich variety of foods with vibrant, spicy flavours and pleasant textures. 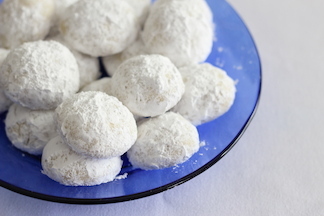 But there's nothing like following up a curry or other spicy dish with a sweet, cool dessert that caps off the meal and refreshes your tingling mouth. I've based this recipe on a vegan butterscotch pudding by Ashley Adams. I substituted soy milk for the recommended almond milk. (I've never really developed a taste for almond milk and I can always taste it in whatever I use it in.) I also swapped out the vegan margarine for an equal amount of refined coconut oil. 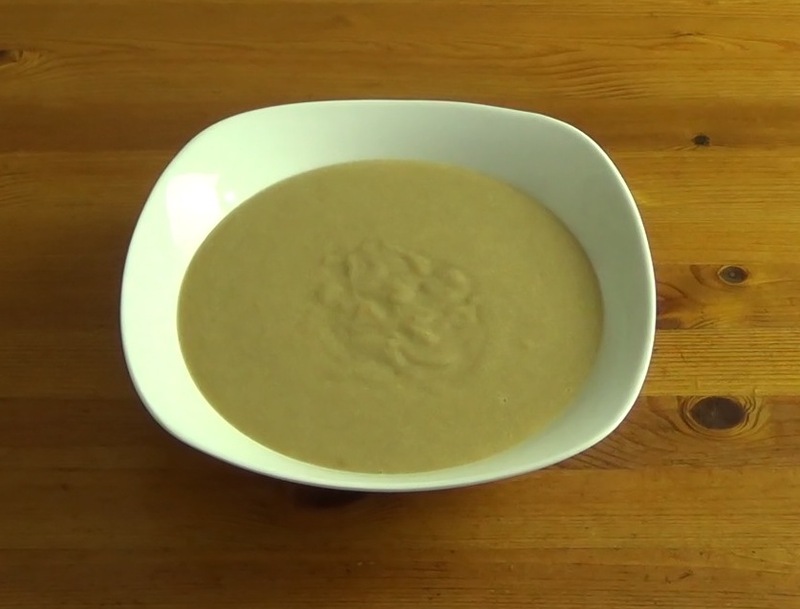 The first time I made this, it refused to thicken, and I think it's because I didn't turn up the heat for the whisking part. I changed that the next time around and it behaved as expected. I'd say the fruit is a necessary part of this dessert. The pudding itself is very light, but also very sweet. 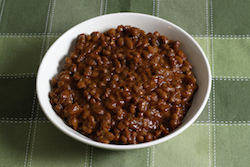 The fruit adds some textural variety and a tanginess that contrasts nicely. 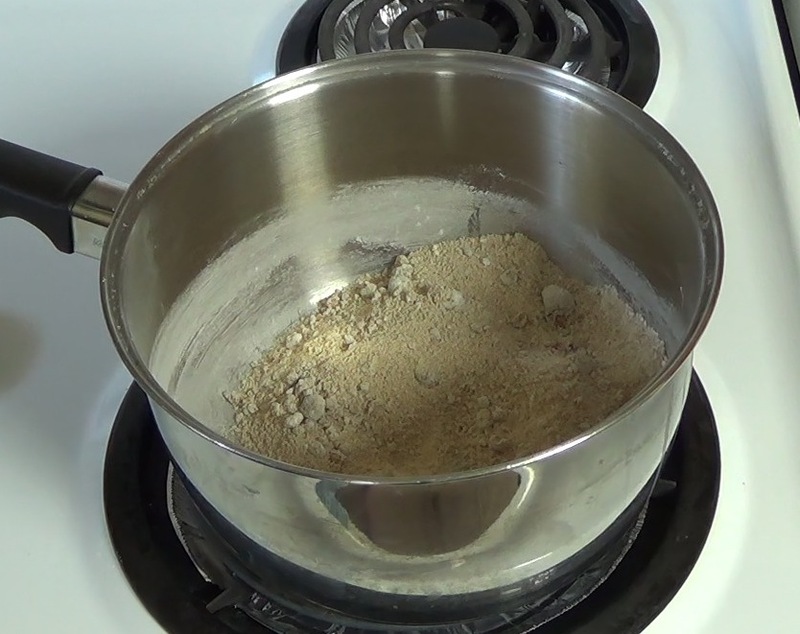 This is a really easy recipe. 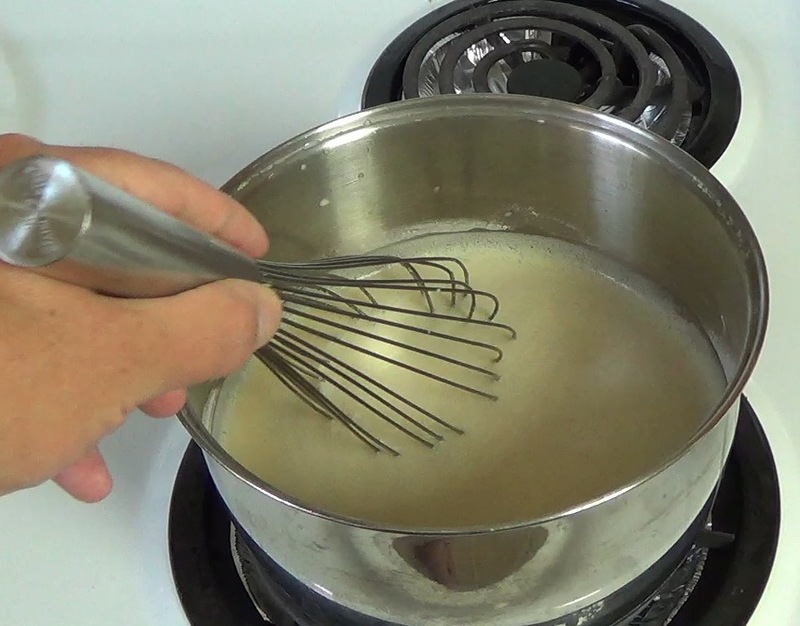 In addition to a medium saucepan and (preferably) a whisk or (less preferably) a wooden spoon, you'll need a heat-resistant bowl of some kind and some plastic wrap. 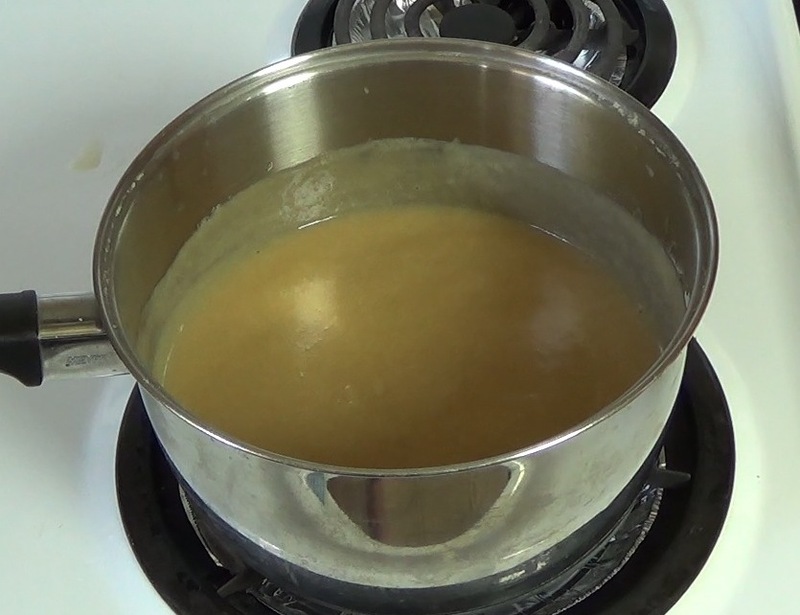 The work is minimal, but the pudding will require a three-hour rest in the fridge to cool and firm up. In a medium-sized saucepan, with the heat off, mix brown sugar, corn starch and salt. 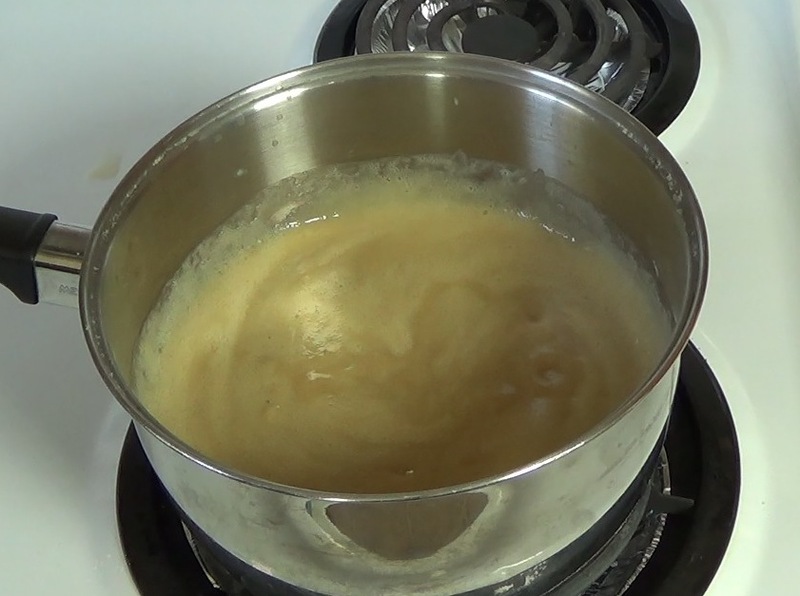 Get the soy milk ready to go beside the stove, along with the coconut oil and vanilla. 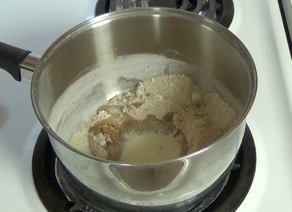 Measure out 1/4 cup of soy milk and mix in with the dry ingredients in the pot. Turn stove to medium-low heat. 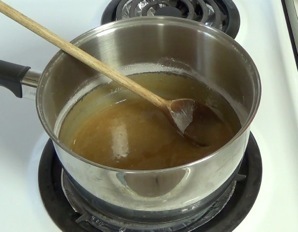 Continue stirring until sugar has dissolved. 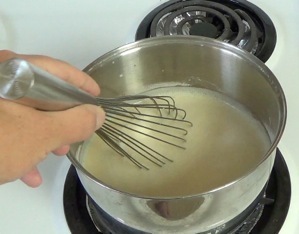 Add the remaining 2 cups of soy milk, turn heat up to medium-high, and whisk constantly for about 5 minutes until the mixture thickens and turns darker. This happens all of a sudden, about 5 minutes in. Turn off the heat and mix in the coconut oil and vanilla. Let the pudding cool for about 5 minutes on a cool stove element, then transfer to the heat-resistant bowl, resting on a cutting board or other heat-friendly surface. 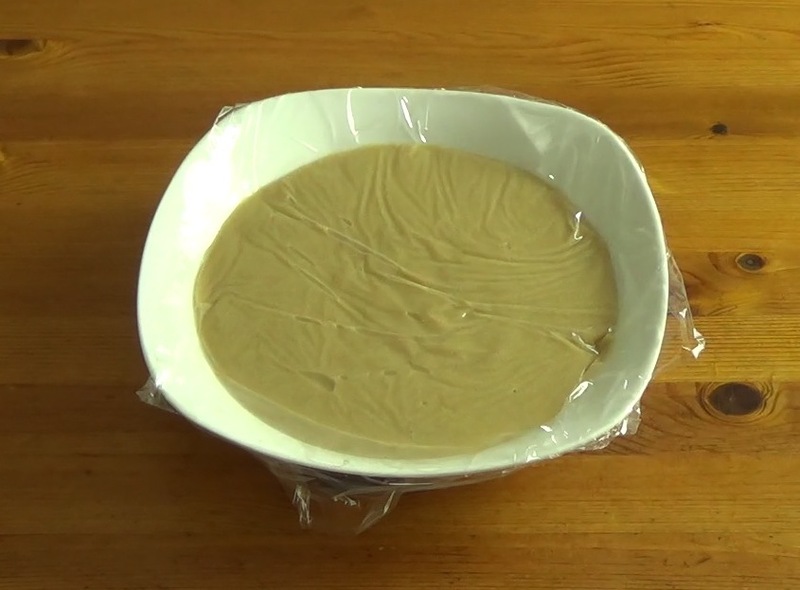 Lay some plastic wrap directly onto the surface of the pudding to prevent a skin from forming. Once the pudding has cooled somewhat, place it in the fridge for 3 hours. 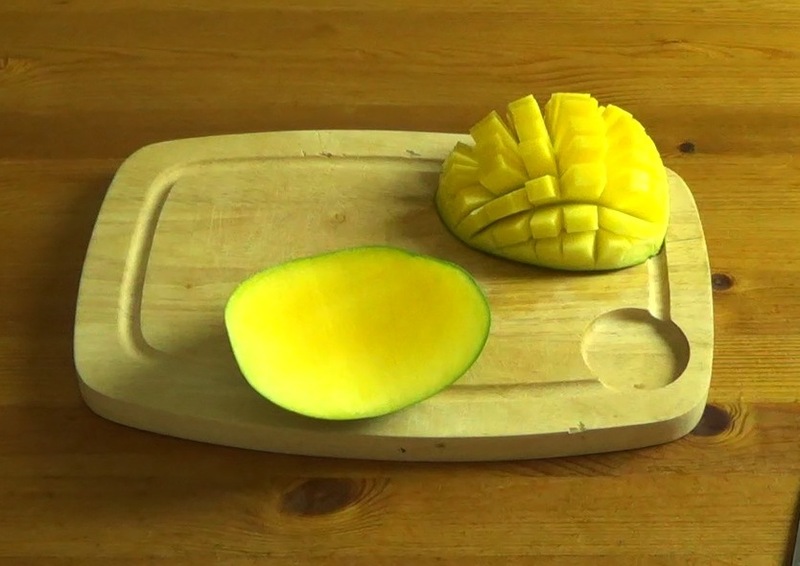 While the pudding is chilling, prep the fruit that you're going to top it with. 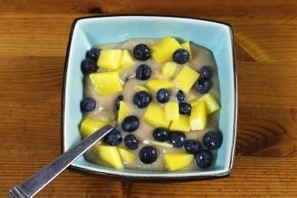 I'm using mango and blueberries, and it's delicious, but there's lots of room for variations. 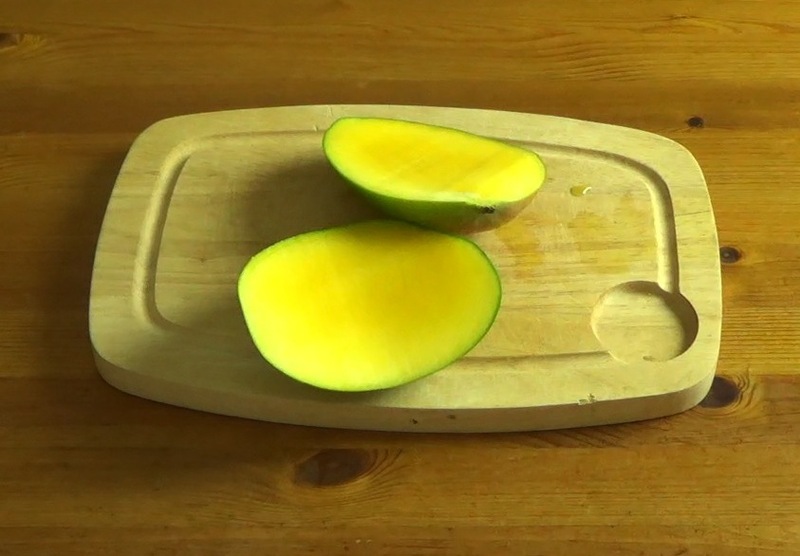 If you're using mango, you can cut it up with a couple of really simple tricks. 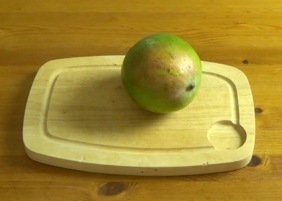 First locate the bump on the front of the mango that corresponds to the center of the ellipse-shaped pit. Set the mango up on its bottom and rotate the bump so that it's pointing away from you. 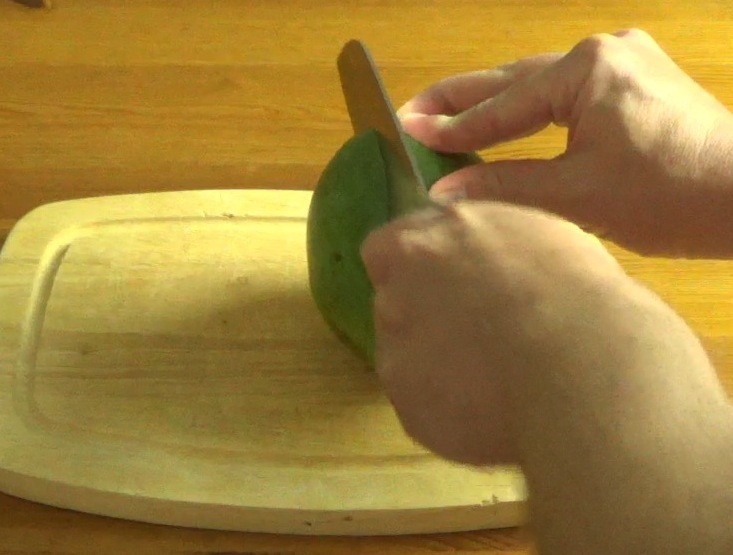 Carve the flesh of the mango, avoiding the spot in the centre where you imagine the pit to be. 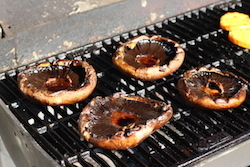 Repeat on the other side and discard the middle portion with the pit. Using the tip of the knife, score the mango in a checkerboard pattern with 1/4" spacing. Be careful not to cut through the skin. Carefully invert the mango section so the checkerboard pieces are on the outside. Cut the pieces off the mango into a bowl. Put the fruit in the fridge so that it gets nice and cold. At dessert time, scoop the pudding into bowls and top with fruit.